Choosing to invest in a kitchen remodel is a big decision, and you need to ensure that you’re choosing the right company for the job. From the number of options they provide to the installation services, there are a lot of factors you need to consider before you commit to a certain company. 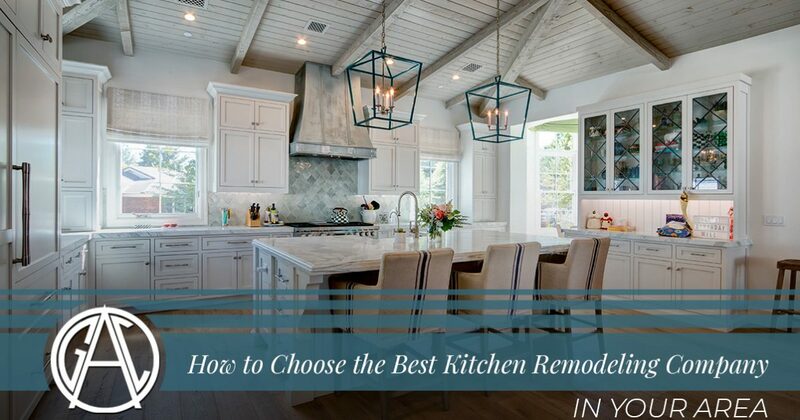 In today’s post, we’ll explain just a few of the things you should be looking for when you’re choosing a kitchen remodeling company. Affordable Granite & Cabinetry Outlet is proud to be the Top Rated Local® kitchen remodeling company in Newburgh, and we would love to help you create the kitchen of your dreams! Call 877-778-2373 or get in touch with us via our online contact form to tell us more about your remodeling goals. We look forward to speaking with you soon! Experience is the first quality you should be looking for when you’re trying to find the best remodeling company for the job. Many companies specialize in a certain style, and you want to be sure that you’ve found a remodeling company that can pull off the style you’re interested in. You also want to choose a remodeling company that has been in the industry long enough to know which products will last for years to come. While many contemporary products have made kitchen remodeling easier than ever before, there are some traditional installation processes and products that simply can’t be beaten. After you’ve found a few experienced kitchen remodeling companies to choose from, the next step is to look at the variety of products they offer. Do they only carry stock cabinets from a few big-name brands, or have they reached out to small businesses who specialize in custom cabinets and responsibly sourced granite? Knowing this information can play a key role in your decision, as it’s not too difficult to sign contracts with well-known brands. On the other, knowing that a company works with small businesses and truly cares about delivering a variety of kitchen remodeling supplies is often a sure sign that they are committed to delivering exceptional results to their customers. 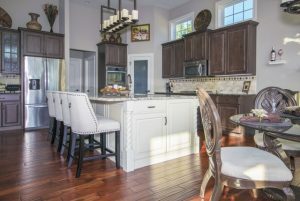 Whether you’re hoping to turn your kitchen into a sleek and contemporary space, or you’re wanting a traditional farmhouse look, you need to choose kitchen remodelers who are known for their attention to detail. Top Rated Local® kitchen remodeling company, we’re proud to say that our attention to detail is unparalleled. You don’t have to take our word for it, though. You can read reviews from past clients on this page to see for yourself! These are just a few of the things you should be looking for when you’re planning to invest in a kitchen remodel. Affordable Granite & Cabinetry Outlet is your trusted source for custom kitchen cabinets, granite countertops, and more! From small updates to luxury kitchen remodels, our friendly remodelers will gladly help you find the best design for your home without exceeding your budget. We look forward to working with you soon!